#Office365Challenge In the last of my Skype for Business (for now) blogs, I’ll cover the settings today. See previous posts around the functionality. So far we’ve covered the menus, adding contacts, instant messaging, and video / audio calls, Meet Now, Polls, Q&A’s, Document Co-authoring, Whiteboards and Scheduling meetings from Outlook. 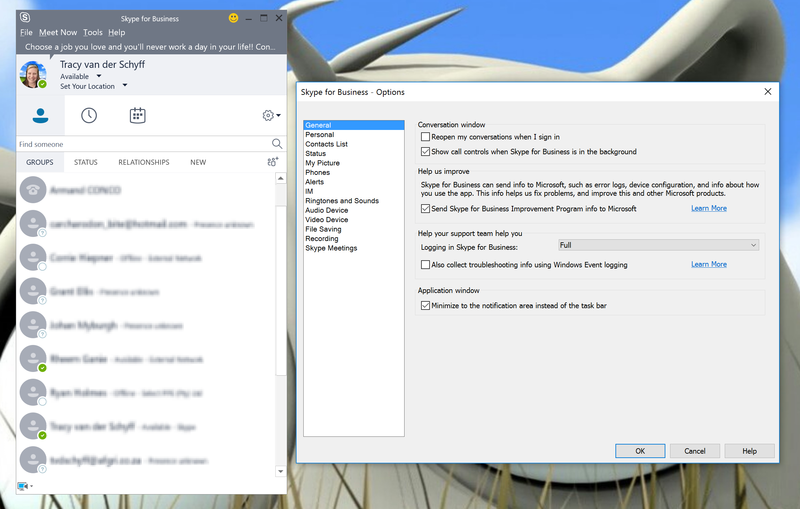 To wrap up Skype for Business, this post will be about the settings. Below are some of the ones I use most. But as always – you’ll learn best by scratching around in the settings to familiarize yourself.